The Grub Street Lodger: ‘The Memoirs of Martinus Scriblerus' Review. The trouble with reading a breeze block of a book the size of ‘Clarissa’ is that you miss the satisfaction of getting to the end. To combat this I decided to read ‘The Memoirs of Martinus Scriblerus’, a work by members of the Scriblerus club that included Gay, Swift, Pope and Arbuthnot as members. I was lucky in that I got to enjoy an amusing and tightly written book but unlucky in that it is an amusing and tightly written unfinished book, and so didn’t get the pleasure of an ending. The story is framed as memoirs found on the street by an editor who presents them to us. The memoirs detail the birth, life and education of Martinus Scriblerus, an elderly man raised to be a genius and who fulfils that potential and then some - becoming the most learned man in the world. 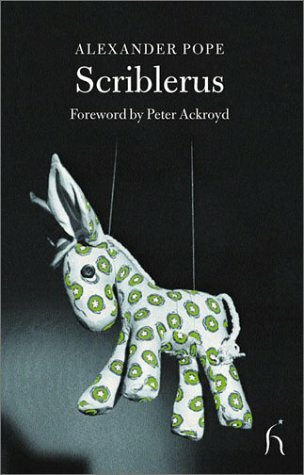 Of course, this being a production of the Scriblerus Club, it is primarily concerned with ridiculing the psuedo-learning that was bought and sold in the eighteenth century. Martinus Scriblerus was a character used by the club in other productions, such as Peri Bathous and Dunciad Variorum. 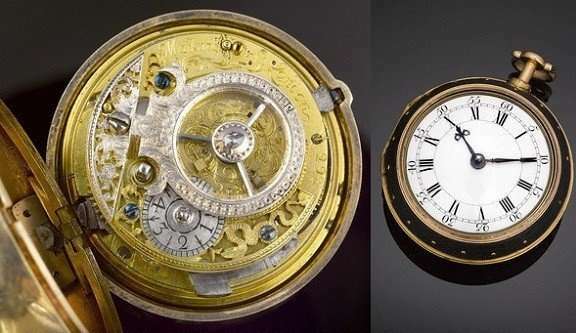 The 'Scriblerus' watch, given from Swift to Gay in memory of the club. The first few chapters detail the birth of Martin in Seven Dials and his early lessons. There is a marked similarity between Cornelius, Martin’s father and Walter, Tristram Shandy’s father in Sterne’s later book. I enjoyed the daft extremes Cornelius goes, like eating only milk and honey for a year before sleeping with his wife in an appropriate time to create his genius. We are led through Martin's curriculum, being taken through all the pseudo-knowledge that he was brought up with. I like the chapters with Martin, but those chapters with his playmate, Cambe are extremely tiresome. Crambe is that typical loquacious, facetious and general pain-in-the-arse character who spouts the kind of over-eager linguistic wordplay that can really sink a book. Luckily the chapters are short and Martin soon gets tired of him as well, so we don't see Crambe again. The book then goes onto a section about Martin’s solo studies. I particularly enjoyed his time as an early psychologist and his discovery that certain attitudes create the strength in certain parts of the muscles and similarly, that exercise of certain muscles creates certain attitudes. One of the examples I most enjoyed was that a hunchback caused by shrugging muscles shows patience and resignation to life and is most often seen in ‘henpecked husbands, Italians and English ministers’. This then goes onto a lovely chapter about how he tried to heal a man who loves himself. It’s a brilliant description, how the man loves himself as someone would love a mistress. How he dresses up nice for himself, flirts with himself, defends the honour of himself; even buys himself love gifts. The whole schizophrenic love tryst with himself made me giggle. The cure for this self-love? Smashing his mirrors and any reflective surface while having his friends showing him the ‘extravagance, pride and prodigality’ of his mistress. We never hear whether this cure worked or not. In the next few chapters, Martin falls in love himself, with a conjoined twin. The section completely enjoys the absurdities inherent in this situation, rhapsodising about his love. There is also a dig at theatrical convention, that the twins are lovesick and are unfortunately ‘deprived the universal relief of a soliloquy’. Eventually, he manages to get married to her, but a rival marries the other twin. We then get a trial where the legality of the marriages are discussed. When this is done, Martin exiles himself away and we get a sum-up of his achievements after. These are just jolly vignettes of wonderfully silly ideas. I particularly enjoyed the one about working out how many people there were in London by counting the turds in the sewers, not including, ‘what is left under dead walls and dry ditches.’ Though my favourite was Scriblerus’s ideas about architecture, that he has a systems of creating buildings that will be beautiful by the time they fall naturally into ruin. After these little vignettes, the book just...stops. Having entertained me a good deal but not left with that satisfaction I craved.